It’s not surprising that so many Texas homeowners take advantage of that Texas sun to have a sunroom installed in their home. They offer added beauty, function, and even energy efficiency. However, it’s no small home improvement project and it is one that you want to think about clearly before you call a contractor to have a sunroom installed. You should have a clear picture of how you want to use that sunroom and how much sun you’ll get from it. If you’re unsure of your options, however, our experts at Sunspace Texas will be happy to discuss what we can offer for your sunroom installation. 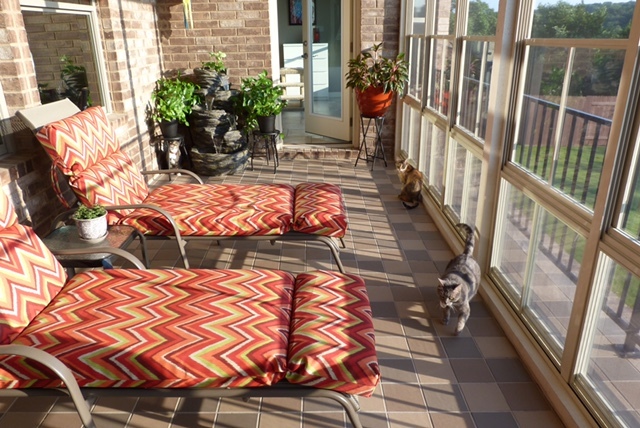 That said, here are a few things to consider before you install your sunroom. The first thing you want to ask yourself is why you want to install a new sunroom. Of course, it can be a beautiful addition to your home, but how do you plan to use it? An added seating area where you can entertain or simply enjoy a glass of wine? A guest room? A garden or a playroom? All of these functions will require different features. For instance, a guest room will need more privacy, so maybe curtains or shades that can be pulled over the windows when the guest needs privacy and left open otherwise would serve you best. If you want to use this as a playroom, you’ll need more open space for the kids to roam. Another thing to consider is the view that your sunroom will face. Ideally, it’s the most picturesque outdoor views surrounding your home. If that’s true, you’ll likely want the most expansive windows possible. Floor to ceiling vinyl window sunrooms can help you get the most of your view, and let in the most sunlight. The view from your sunroom can also be a handy way to watch the kids while they play outside, while still enjoying some space for yourself. On the other hand, it might face a view that inspires you to pursue an artistic or craft project, and your sunroom could be a perfect place to do it. Sunrooms can be a great way to combine your indoor and outdoor space, but with that often comes outdoor temperatures…unless you have a sunroom built specifically for your climate. Texas is known for its long summers and high temperatures. Your sunroom should be built to accommodate that. That’s why vinyl is such a popular option for sunrooms, because of its durability and thermal performance, allowing the room to stay comfortable even while it’s swelteringly hot outside. You may also consider a 3-season sunroom with glazed glass windows or even an all-season insulated sunroom that you can enjoy in the colder months of January and February. If you’ve never had a sunroom installed the past — and even if you have — it helps to have an expert on your side to discuss your needs and the benefits of different options. At Sunspace Texas, our manufacturer has been in business for over 25 years. We’re happy to walk you through any part of the sunroom process when you contact us for a free quote.